Computer-based GIS lab sessions from Esri Press complement geospatial education. Redlands, California—Esri Press and Esri's education solutions team announced today that SpatiaLABS, the popular computer-based series of lab activities, is now available free of charge. 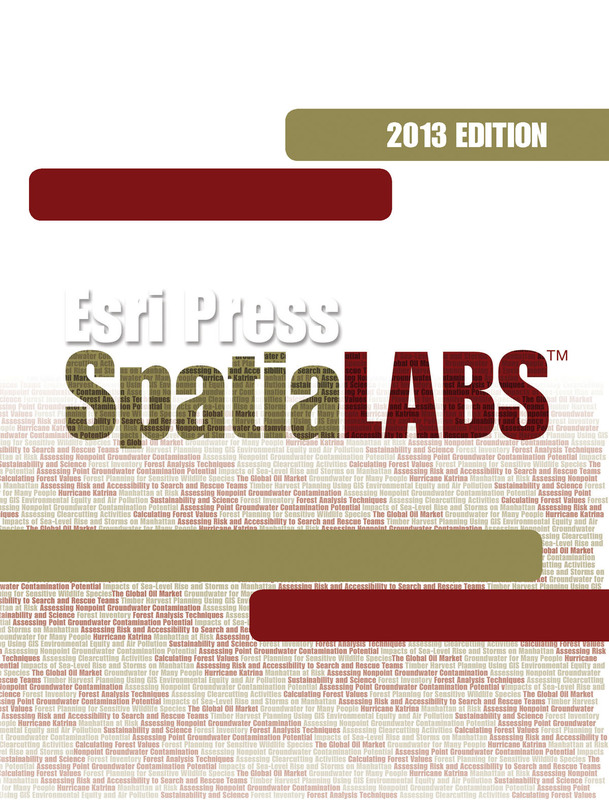 Customers with an Esri educational site license will automatically receive SpatiaLABS later this summer. Designed for a broad range of disciplines, SpatiaLABS complements and enhances an instructor's course with self-directed investigations that help students increase their spatial reasoning and analytical skills. Created by educators and peer reviewed, SpatiaLABS provides students in the physical, social, and applied sciences with 64 lessons on topics including environmental studies, business, urban studies, and spatial statistics. Students develop GIS and cartography skills during these investigations; however, the primary objective of SpatiaLABS is to teach students how to approach and solve geospatial problems. Although each activity has been written with skill prerequisites in mind—from no GIS ability to advanced GIS project experience—SpatiaLABS exercises are customizable, allowing educators to adapt them to student capabilities or use local data, when appropriate. "One of the most tedious aspects of a GIS educator's job is updating lab exercises to keep up with software product updates," says David DiBiase, Esri director of education. "With SpatiaLABS, educators can leave that chore to Esri." Delivered on DVD, the lessons are installed onto the school's server to allow access by all campus faculty. To learn more, visit esri.com/spatialabs or call 1-800-447-9778. Outside the United States, visit esri.com/offices to contact your local Esri distributor.